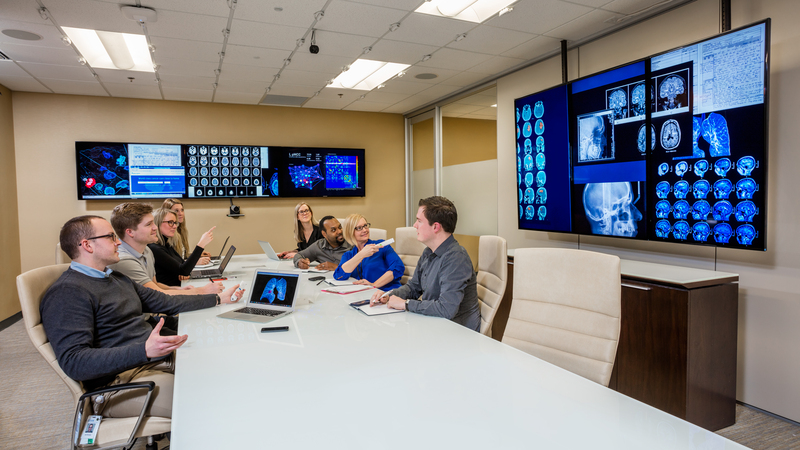 On the eve of our debut at the HIMSS conference in Las Vegas, we’re pleased to share the news that Sarah Cannon, the global cancer institute of Hospital Corporation of America (HCA), leverages Mezzanine™ immersive visual collaboration and conferencing technology from Oblong Industries to connect experts across its global network in real-time communication. Sarah Cannon offers integrated cancer services and access to cutting–edge therapies for those facing cancer in communities across the United States and United Kingdom. 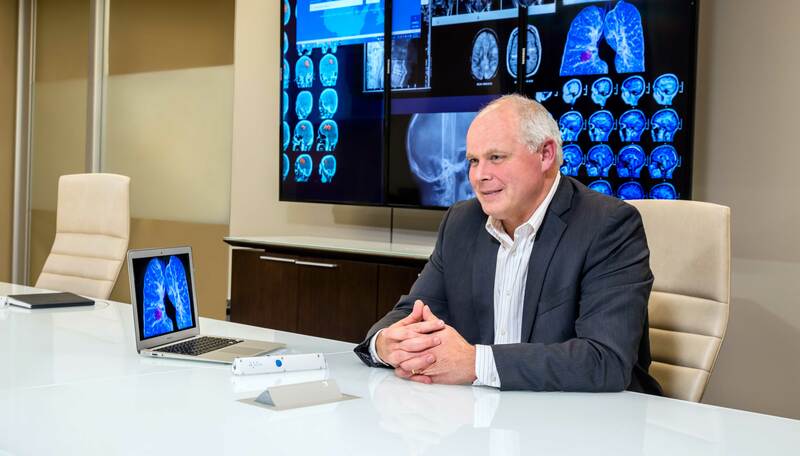 Sarah Cannon has installed Mezzanine systems at its corporate headquarters in Nashville, Tenn., enabling physicians, colleagues and partners across the globe to collaborate and share expertise in cancer care through an efficient and engaging platform. Additionally, Sarah Cannon plans to utilize the conferencing technology in tumor board reviews across the network, providing an innovative visual tool for experts to review patient cases and determine the best treatment plans. Mezzanine is the only collaborative conference room solution available that simultaneously brings together people, displays, devices, applications, and data in a shared workspace. It seamlessly blends physical and digital environments across locations and redefines traditional videoconferencing to accelerate an organization’s ability to share content, boost productivity, and unlock innovation. Attendees at HIMSS will have the opportunity to experience Mezzanine first-hand in booth #10725, Hall G, March 1-3, 2016.